Following the railway lines, nineteenth-century civilization was a slender-tentacled octopus extended upon an immemorial rural quiet. Where this mysterious cephalopod had come from and how it had got so big, no one could say. Presumably it had crawled out of the sea one night, or perhaps it had arrived by steamer from a distant star. A few things were certain: it was accompanied by its own parasites in the form of bankers, lawyers, and insurance salesmen. It couldn’t abide the thought of unemployed children. And that film of soot we’re taught was spread all over the cities by belching late-Victorian factories? Ink. 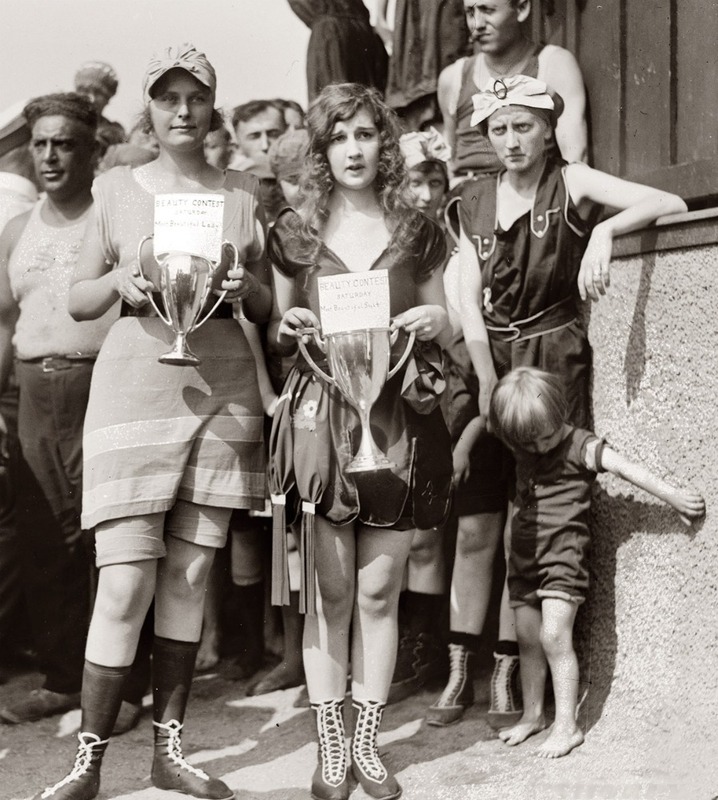 Bathing beauty contest winners (and losers), circa 1920. A Person is he whose words or actions are considered, either as his own, or as representing the words or actions of an other man…whether Truly or by Fiction. When they are considered as his owne, then is he called a Naturall person: and when they are considered as representing the words or actions of an other, then he is a Feigned or Artificiall person. I was once thrown out of a furniture store for daring to return a bunk bed I’d picked up thirty minutes before. On opening the boxes at home, I’d discovered it wasn’t made in the U.S., as was claimed, and was not really solid wood. It smelled of glue and formaldehyde. We didn’t want our kids breathing the fumes at night. “I don’t get you people – environmentalists!” the owner of the store snarled at me. The bed was a special order, he said, and non-returnable. It didn’t matter that no one told me it was a special order. The bed was my problem, not his, and if I didn’t leave the premises, he’d call the cops. Seeing how much he loved me, I tried not to take offence. Having been unable to do what they would, they have pretended to will what they could. You may have noticed that, just before the deathblow, a gazelle will seem to sigh and resign itself to circumstances under the cheetah’s paw – almost as if it had finally found what it secretly wanted all along. Slow the footage for a moment and you’ll get a perfect icon of the peaceable kingdom. It may be one of those odd intersections of wisdom and foolishness in life, a sort of grotesque mercy: to finally choose what you can no longer escape. On my way home from San Francisco yesterday the train stopped at a station where two musicians sat playing violin and accordion outside a coffeehouse. From my window seat I watched as an elderly woman with a humped back danced in front of them like a girl of six. For my birthday this year I drove the family out to Pescadero on the coast where we inspected the tide pools and spent a few hours birding in the marsh. A northern harrier swept across the wetlands on fierce patrol, but the best thing I saw was a black phoebe that caught a gnat in mid-air. At the beach last summer my daughter asked me to hold her kite while she looked for sand dollars. I buttoned the spool into the left breast pocket of my shirt so that I could fly it hands-free. I meant to help my daughter hunt for shells but was too distracted by the wind tugging at my heart. 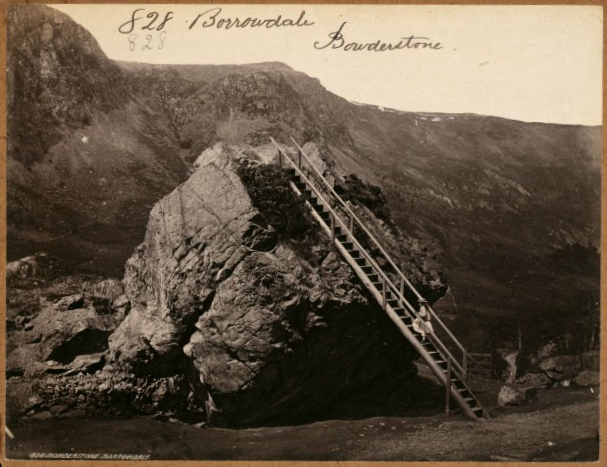 Photograph by Francis Frith, circa 1850-1870.